How much is Chris Manzo Worth? Chris Manzo net worth: Chris Manzo is an American businessman and reality television star who has a net worth of $1.5 million dollars. 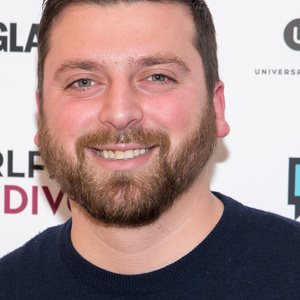 Born in New Jersey, Chris Manzo is the youngest son of the former Real Housewives of New Jersey cast member, Caroline Manzo, and her husband, Albert Manzo. Chris, along with his older brother, Albie Manzo, became household names when their mother began appearing on the show, and they are considered two of America's "Most Eligible Bachelors". Chris is the co-founder of BLK beverages and also works with his brother on their restaurant in Little Town New Jersey, and a second restaurant in the Meadowlands Racing and Entertainment Complex. Most recently, Chris Manzo, his brother, and other peripheral members of the "The Real Housewives" cast, have been embroiled in a lawsuit surrounding the release of their product, Blackwater, a medicinal water drink. Creative Thinkers, a Canadian firm, brought the lawsuit. The lawsuit alleges that Creative Thinkers developed the water and marketing plan with Louise Wilkie, who then stole the idea, took it to the Manzo's, and offered them the opportunity market/profit from the sale of the water. The case is still in court. Chris currently appears with his family on the Real Housewives spinoff Manzo'd with Children and also appeared on another hit Bravo reality series, Millionaire Matchmaker with Patti Stanger, for the second time in 2015.